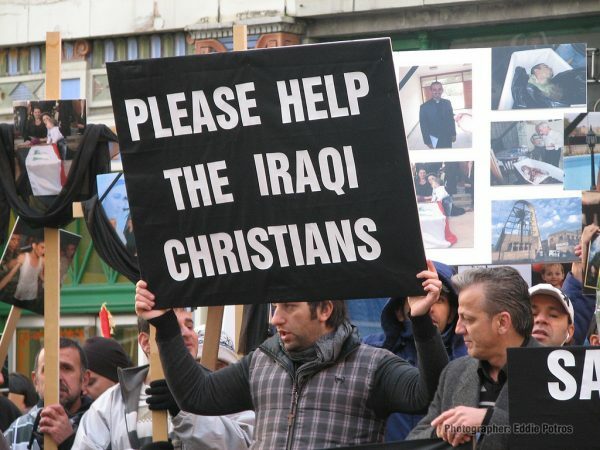 Iraqi Christians feel betrayed by the failure of politicians and Christians in the West to defend in a practical way their right to stay in their ancient homeland, the aid coordinator for the archdiocese of Erbil has said. Speaking the day after the Westminster terror attack, Stephen Rasche, director of resettlement programmes in Iraq, explained that following the genocidal activities of Islamic State, there was still no justice for Christian communities, in terms of the assistance they need to stay in the region. The most telling evidence of the continuing discrimination was in the work of the United Nations. Of US$900 million in relief provided by the US through the UN, none was finding its way to the Christians, because the UN judged they were receiving help from elsewhere. There was also systematic discrimination against Christian refugees in Turkey and Jordan, he said, in the processing of exit visas. Rasche rejected the idea of creating enclaves in the Ninevah plains that would supposedly protect Christians, because the numbers were now to small for that to work. In Iraq, the idea was called the “zoo concept”, he said and the only valid principle was for Christians to be fully integrated with equal rights. Christopher Segar a trustee of the Foundation for Relief and Reconciliation in the Middle East that operates in Iraq and Jordan, said that “if there were stronger voices from Christian leaders it would make our work much easier”. He also warned that supplies sustaining displaced Christians in northern Iraq will run out “within weeks.” A clinic run by the archdiocese, which lies in the semi-autonomous region of Kurdistan and is caring for almost 100,000 Iraqi non-Muslims who fled Islamic State jihadists three years ago, has just 45 days’ of medicine left, reports news site World Watch Monitor. Rasche, who works alongside the Chaldean Catholic Archbishop of Erbil Bashar Warda, visited parliament at the invitation of Lord David Alton and Aid to the Church in Need. After speaking to parliamentarians in the House of Lords on the genocide against Christians and other minorities in Iraq and Syria, the former US lawyer adjourned to St John’s Smith Square to talk with journalists and others working to defend beleaguered minorities in the region.